ResMed's HumidAire 3i™ is designed to provide heated humidification and form a seamlessly integrated unit when attached to the ResMed S8™ series. The combination of an S8 and HumidAire 3i provides the first compact system offering truly integrated humidification. 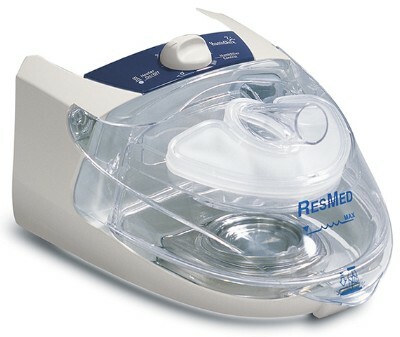 ResMed's HumidAire 3i is designed to offer relief from the symptoms of dryness and congestion associated with CPAP therapy without compromising therapy effectiveness or ease of use. Up to 40%™ of nasal CPAP users experience nasal congestion and dryness of the nose and throat. The warm, moist air that humidification provides has been provený to relieve symptoms of dryness and can make therapy more comfortable. In fact, compliance gains may be realized sooner, if patients are started with heated humidity at CPAP initiation.